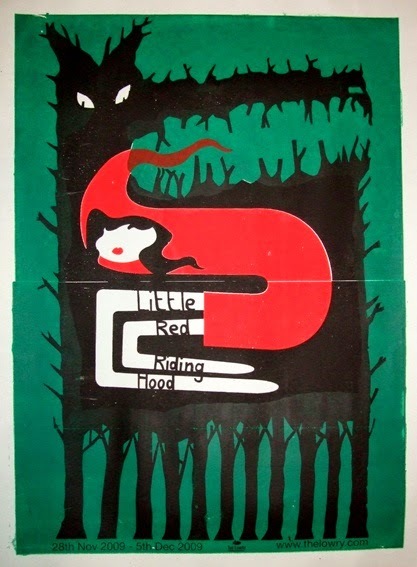 I am exploring recurring themes or presentations of the characters of Little Red Riding Hood. 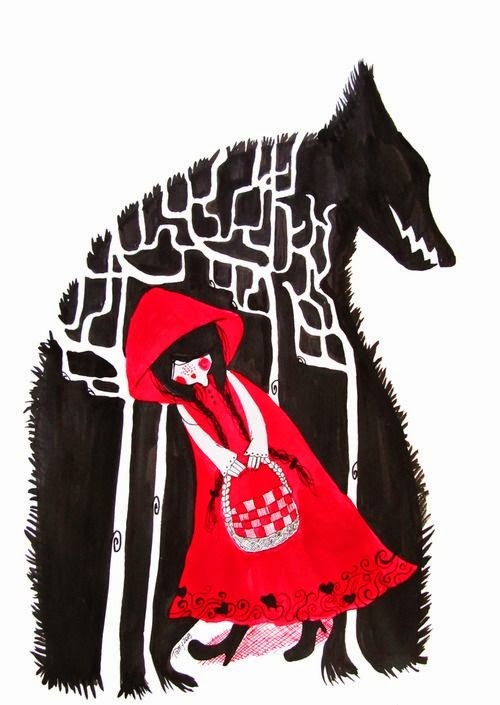 One idea that is often portrayed is that where the wolf is the forest, at one with the trees. Here are two quite graphic examples by Alan Dalby and Tamara Diaz that merge the forest with the wolf as one harmonious wilderness.